Automatic Pay Station is an ATM for parking lots. 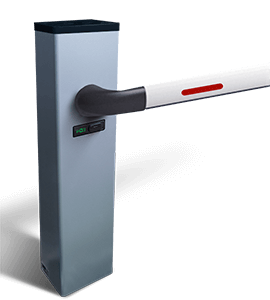 With a steel body, this technological equipment is our cashier for parking. 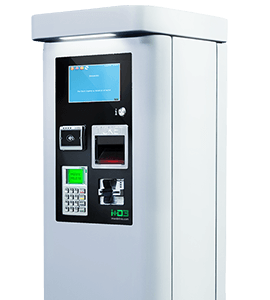 The ATM has a 17″ touch screen, with ticket reader and compatible with a lot of coins and banknotes. It includes a hopper, which allows the introduction of multiple coins at the same time, speeding up the payment. 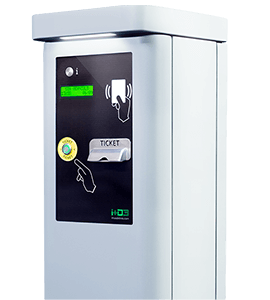 It also allows you to include a module for RFID proximity card and an NFC module for payment via mobile phone. Fill a simple form and get a quote for your project. Is possible incorporate to the cashier an NFC module to offer customers the option of paying via mobile phone with Wallet applications. The cashier for car park has a parking ticket reader, reading the barcode. The user will exit the car park with the same ticket that came. 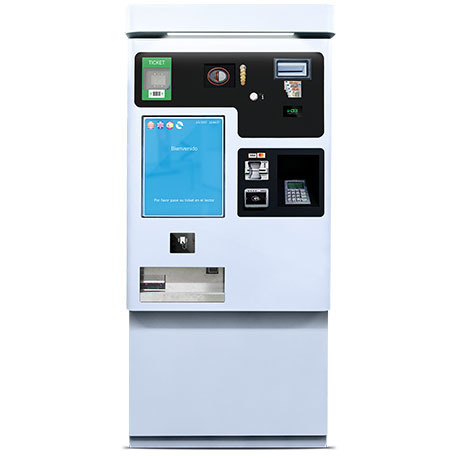 Our ATM for car parks accepts, recycles and returns all denominations of coins and banknotes. 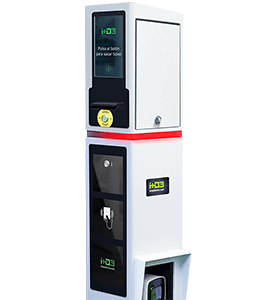 The cashier allows to insert a handful of coins at a time, offering greater flexibility and convenience for customers. Acceptance, recycling and return of all denominations of coins.